Naukuchia Taal is a small hill station around a gorgeous lake. This place is undoubtedly a better choice in comparison to other hill stations because it is a lot less commercialised and not very crowded. On our visit to this place, I chose a beautiful cottage out of the two listed on The Bungalows. We booked the Premium Cottage with three rooms, spacious living and dining area, an attached garden, and kitchen spread over two floors. We were a group of seven people so it made more sense to go for the bigger bungalow. However, if you're travelling in a group of 4-5 people, you can also opt for the cottage with two bedrooms. The smaller cottage comprises of two spacious bedrooms, a small kitchen and couch area. 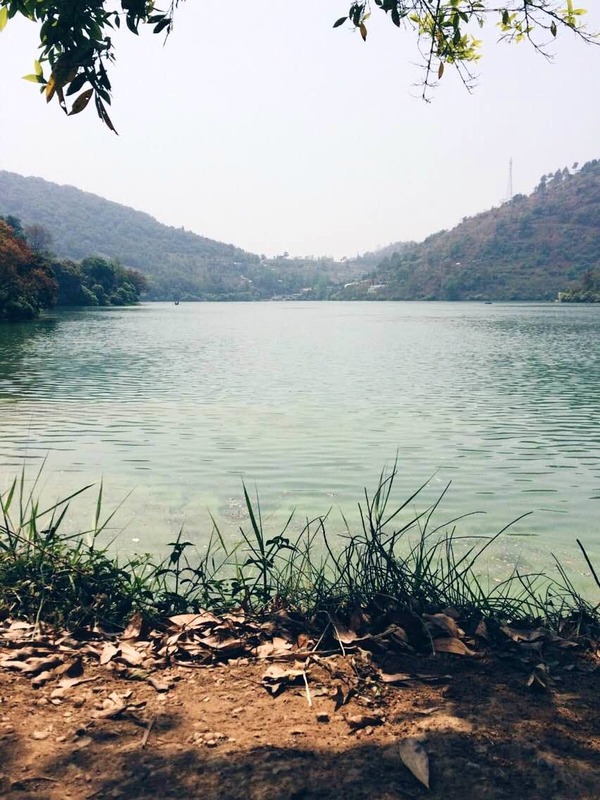 The Naukuchiatal lake is just a minute's walk from the cottages and you must go there to grab some of the ample opportunities to witness gorgeous sunsets along with exotic water birds. They also have an activity complex which is about 2 km from the cottages, where you can go for boating and zorbing. I recommended this place if you're looking for a quiet break in the hills.